Read: "The Cosmic Consciousness of Shabazz Palaces’ Ishmael Butler"
Bandcamp Daily interviews Shabazz Palaces’ Ishmael Butler about his ambitious body of work; "how he blends the concrete sensibilities of hip-hop with the outermost regions of space, and why both lend to his music’s complete and cosmic whole." Read it in full here. 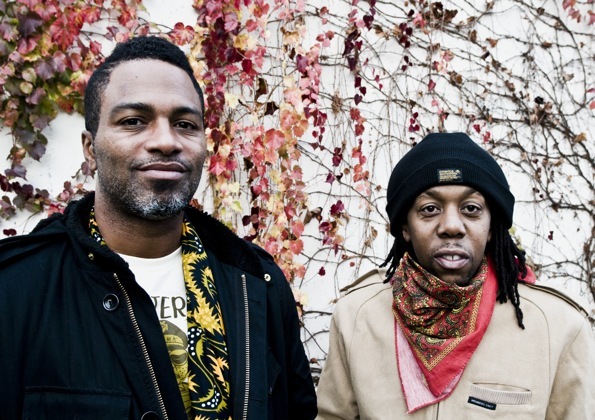 Shabazz Palaces is one of the curators of Le Guess Who? 2017, who have invited jazz legend Pharoah Sanders, Gonjasufi, Fhloston Paradigm, Natasha Kmeto, and OCnotes.